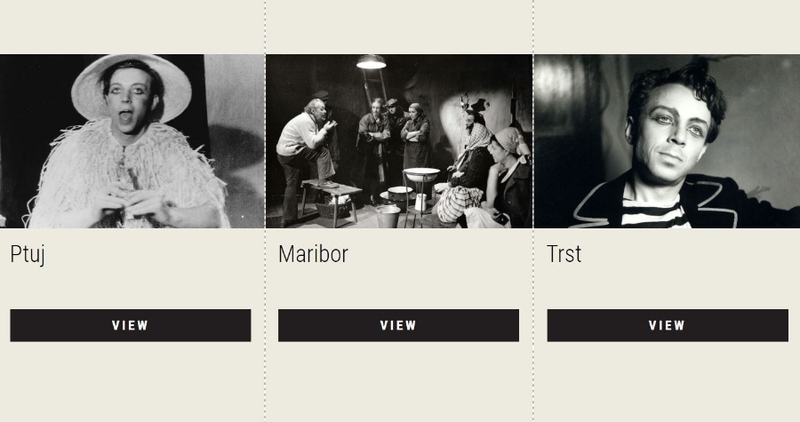 On the occasion of the 101st anniversary of the birth of Jože Babič, a theatre and film artist, we created a digital exhibition: a selection of 101 photographs from his rich theatre opus, as well as his personal life, which was always closely intertwined with his public engagements. Jože Babič, a restless creator and eternal wayfarer, left a strong impression in many theatres of different Slovenian cities, hence the subtitle of the exhibition, A Geography of Theatre Creation. He was born in Trieste and grew up in Maribor. He started his artistic career in Ptuj, where he was one of the beginners of the Slovenian theatre avant-garde in the pre-war independent theatre of Fran Žižek. At twenty, he directed a working-class drama by Rudolf Golouh, Kriza (A Crisis), which was staged in the cinema hall in Pobrežje in Maribor, and performed only once. He then worked in Dramatično Društvo (Drama Association) in Ptuj as an actor and director, and in 1946 also as its artistic director.